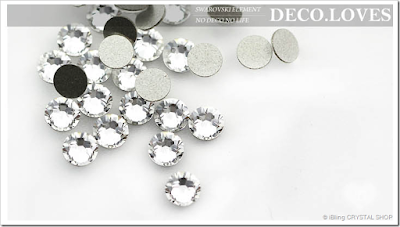 crystals beads watched several class brightness and hardness of how to choose? - Hwatien Enterprise CO.,LTD. crystals beads watched several class brightness and hardness of how to choose? By making the appearance of the type can basically be divided into: acrylic crystals, drill tip at the end, fancy stone, plastic crystals, flat diamond pendant ... which can be divided into non-adhesive or adhesive (commonly known as "hot drilling "), the bottom tip drill can be mounted or any other application base or no base metal claws stage can be divided into two fancy flat bottom tip or stone (fancy stones), pendant earrings or necklace is a common kind of hanging falling ornaments, there are holes or tying hook. For in-depth understanding of the link and then click on the relevant presentation. It will be introduced in the text of this post DIY paste drill common to refer to color, phone, automobile-free adhesive flat drill spindle. Basically hardness and brightness quality is directly proportional to the price, is called a penny stock, immediate reaction is a diamond cutting surface fine degree of process and material hardness. For the current diamond market often hear do a simple sort of price!acrylic crystals elements (SWAROVSKI) drilling Austria> Bao Shi Aosha (PRECIOSA) Czech drill> = glass drilling> South Korea drills> Glass Drill> Acrylic Swarovski plastic crystals which is sometimes referred to as the Austrian drilling, because of its production in Austria, but Austria drilling should not be directly represented or equal Swarovski rhinestones, not only because Austrian Swarovski company manufactured this diamond there are other brands or factories in manufacturing diamond, so it should be clearly defined in order to avoid market and consumer confusion. 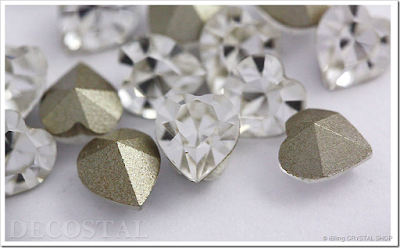 It is worth mentioning that, although there is no glass drilling brand, but its brightness and hardness and high cp value, come from behind and quickly occupies one of the market, the market has full use of glass drilling products referred to as "the use of drilling Austria" However, the general consumers do not know whether drilling Austria Czech drilling even equal Swarovski rhinestones, will cause confusion or is widely accepted by the market, which allows consumers to judge the. After all how Which one drill is what I want it ?? Market glass drilling, glass, the Czech drilling, acrylic diamond, Swarovski rhinestones .... in fact each drill can be used for decoration, so it should be based on your individual needs-based, if your question is: which is best diamond quality, paste up the best, the best brightness, it is undoubtedly recognized the Swarovski Crystal (posted workers waited a long time, the results are not as expected and more shiny happy ah! )Because the selection will involve price with our recognized quality problems, the main supply store currently Swarovski crystals beads and Japanese glass drilling, the pursuit of the highest quality drilling undoubtedly Swarovski is the only option, the brightness after the completion of the work will make people satisfied, its high hardness less prone to fragmentation, but also withstand the test of time. And some buyers think Swarovski Price high, so we have also introduced a glass drilling, although the price is relatively cheap, but the quality we think can be considered to achieve in the very good; glass drilling materials and Swarovski Similarly, high abrasion hardness, just cut technology has not so perfect to Swarovski, it is a whole full of high cost.As for glass drilling (drill resin) or acrylic drilling price is very cheap, that does not wear pop material, the use of film forming section, so with no brightness will soon lose their luster, like plastic-like, such products are now commonly used in nail painting, stickers morning no problem, the evening began with the outer layer of the substrate may be polished off or it does not matter. If because of cost considerations, or it would be more recommended to use glass drilling, unless pushed into a new future and evolution.